NASA will immerse 15 new potential space technologies in low-gravity simulating experiments using commercial aircraft, high-altitude balloons and suborbital rockets as part of the Flight Opportunities program. The space agency said Wednesday the effort will help mature the selected technologies for future space operations. NASA Administrator Jim Bridenstine noted that the organization will work to financially support more payload flights in the future. 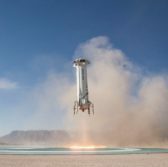 “By increasing funding for payload integration and flights, we will continue to support and advance the commercial suborbital flight market,” he noted. NASA chose the projects through the Space Technology Research, Development, Demonstration, and Infusion Flight Opportunities solicitation that was issued March 30.